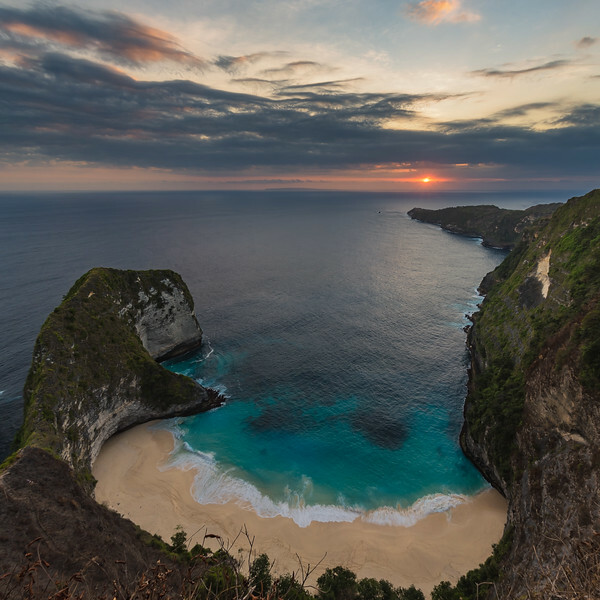 Kelingking beach at Nusa Penida, Bali, Indonesia. This incredible location has seen a rise in popularity in the past few years, for good reason, it really is one of the most incredible beaches ever with amazing rock formations. It's a rough ride to get here, following dirt tracks, but the hardest part is walking down and up again. My time was limited when I was here and needing it for my drone shots and other shots, I never made it down myself, but had my drone as my eyes. In the time I stood up there, I saw many people coming back up. I must say, I've never seen people so exhausted and dirty from a walk.